The public sculpture “A World United” creatively reflects the unifying spirit of sports through a vivid depiction of various sportsmen engaging in the 26 sports of the Youth Olympic Games. Made with Stainless Steel with 2k auto paint in Signal Red and Black, the circular form symbolises peace and mutual respect of cultures shared by individuals through sports. This is derived from the fact that sports afford people the opportunity to learn from each other - along with the willingness to engage in the exchange of ideas, friendship, peace and harmony can be achieved between nations. Huang Yi Fan is a budding sculptor and ceramicist from Singapore. Even before graduating with a Diploma in Sculpture from LASALLE College of the Arts in 2008, Yifan had had his first artwork commissioned when he was a third-year student. 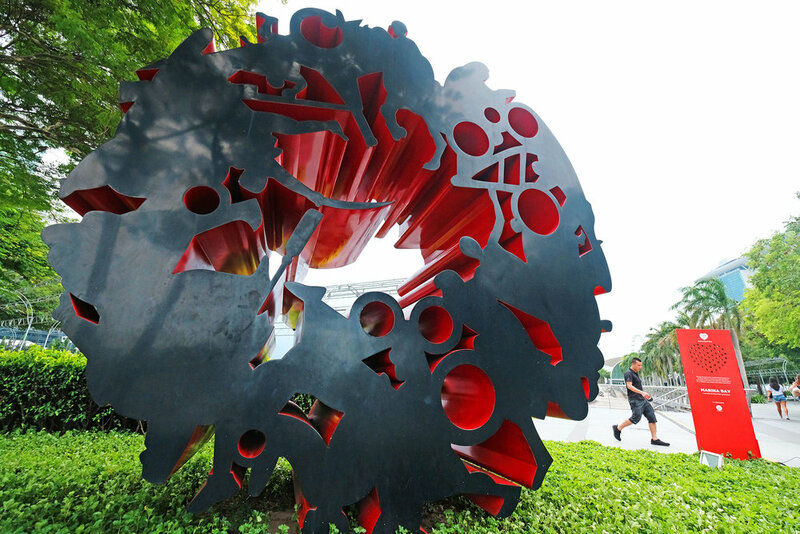 In 2007, he was commissioned to create 20 sculptures, which were presented to ASEAN Ministers, as part of the 13th ASEAN Summit held in Singapore. 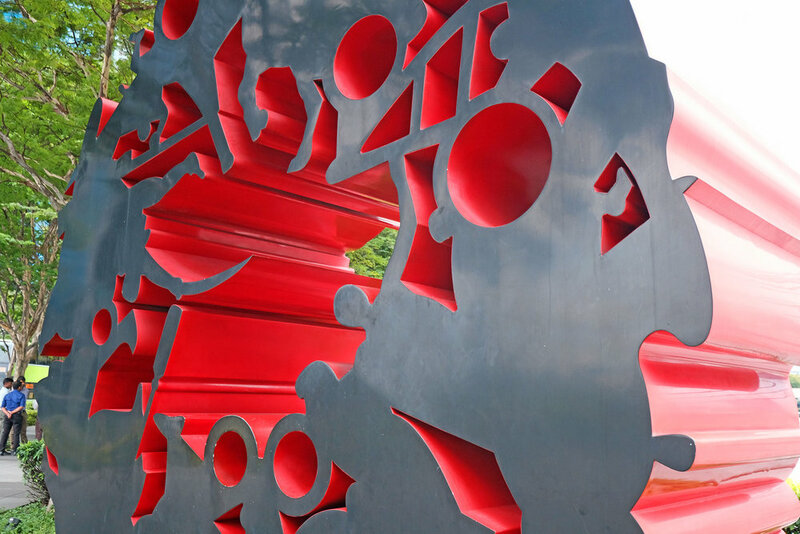 The public art installation is the result from a collaborative effort among Urban Authority of Singapore, Youth Olympic Games committee and private property developer City Developments Limited to commemorate Singapore’s hosting of the Youth Olympic Games in 2010. “A World United” illustrates the unifying spirit of sport through a stylised and dynamic depiction of sportsmen engaging in the 26 sports of the Youth Olympic Games. Symbolising peace and mutual respect of cultures shared by individuals through sport, the circular shape of the work is also a reflection of the esprit de corps, friendship, along with willingness to engage in the exchange of ideas and knowledge. Through sports, unity and connection between individuals can be achieved – and more importantly, peace and harmony between nations and countries. 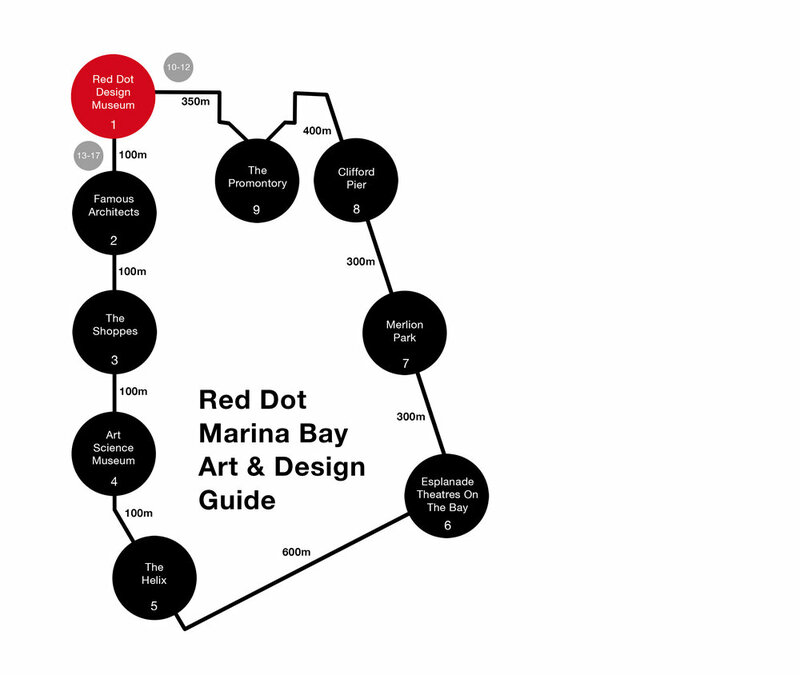 A World United is one of the public installations that can be found within 3 minutes walk along the Marina Bay Waterfront Promenade from The Promontory and within the vicinity of the Red Dot Design Museum.